It’s pretty much undeniable that bird-watching is relatively easier and perhaps more leisurely during the day. But what happens when the night falls? Any enthusiastic birdwatcher must know that in birds’ world, magic happens when the sun goes down. 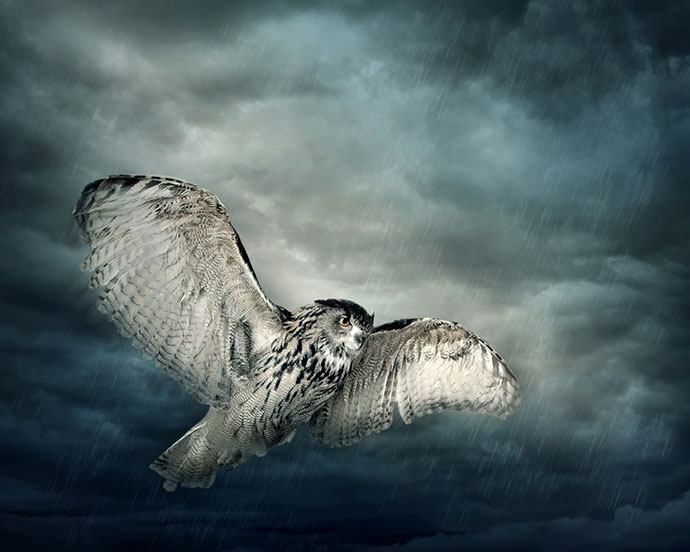 For owl fans, for instance, the best time to get a clear view of the Great Horned owl or the Barn owl is at night. Sure, this is the only best time to watch as the American woodcocks make their elaborate territorial display through their classical evening sky dance. 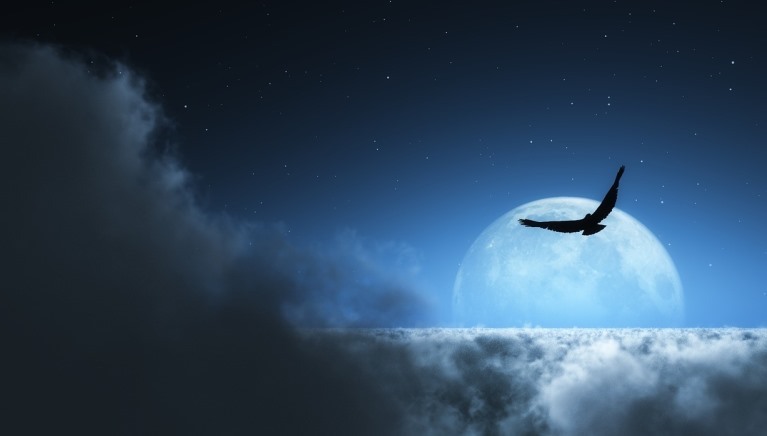 If you are fascinated by birds, watching them at night will help you understand how they live even better. In that case, our role today is to guide you on how to make night bird-watching a success. The first that you want to do is to familiarize yourself with the area. You may, however, skip this step if you’ll be having a safari in your backyard. The main essence here is to ensure that you don’t get lost on strange grounds. Again, knowing the area around you also eliminates the need for switching on your flashlight which could scare the birds away. If you are not in your backyard, you could either hit the trails or head to the pack near you. Of importance, ensure that it’s legal and that you have the permission to be there at night. We would also highly recommend you to scout the grounds during the day identify the best positions. After understanding where you’ll be bird-watching, the next big thing is to understand the type of birds that you are likely to encounter there. Needless to mention, the type of birds available in a certain locale depends on a few aspects including their foraging behavior. The availability of predators might also affect your odds of spotting your target bird. As such, understanding their feeding behavior has a significant impact on your success at night. Goatsuckers, for instance, are active when small insects are more active. Owl lovers are more likely to spot the Black-crowned Night Heron, especially around lakes and swamps as it forages for frogs and insects. If you are new to birds, this Audubon Songbirds, by the National Audubon Society might be of great help to you. You don’t always have to spend a penny for this, though. The internet is full of free content about birds and their behavior that could also put you in the right direction. 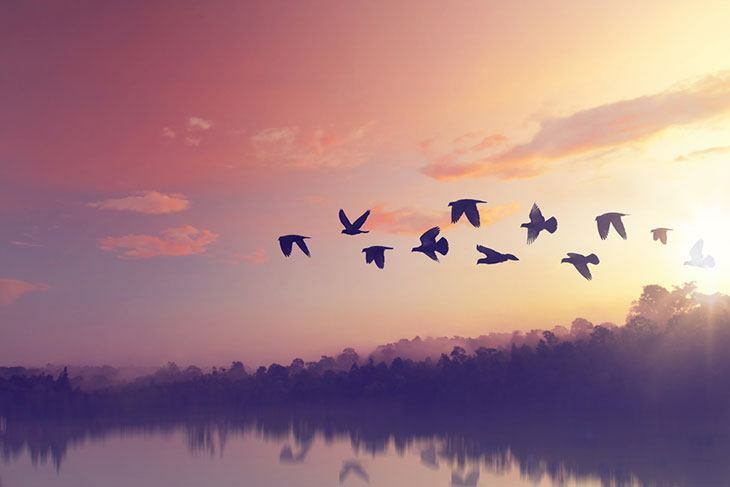 Birds exist in hundreds and hundreds of species. According to the American Birding Association, there are over 900 species of birds naturally occurring in North America alone. Of course, it won’t be possible to see all these species on your select ground. As such, inquire about the types of birds that you are likely to see and get ready for those. Again, the chances are that you won’t be able to tell the kind of a bird by relying solely on its colors. So, it’s vital that you understand the sound they make. On this note, I would recommend you to get this Audio CD (Birding by Ear). It will not only teach you about the species but their sounds too. After familiarizing yourself with the bird-watching grounds and your target birds’ foraging behavior and habitation, the next step involves getting the equipment and supplies ready. Not unless you are doing bird-watching for career purposes, you really don’t need high-end binocular equipment for watching birds. If your budget does not allow, you could also borrow from a friend. Which Is the Best Binocular for Bird-watching at Night? What matters most in a good pair of binocular is its ease of use and ability to offer a clear image of the object (birds). Other than the binoculars, you might also require a flashlight with extra batteries and insect repellant. You might also require an energy drink. Take note though not to bring along a heavy backpack that won’t allow you to move around with ease. 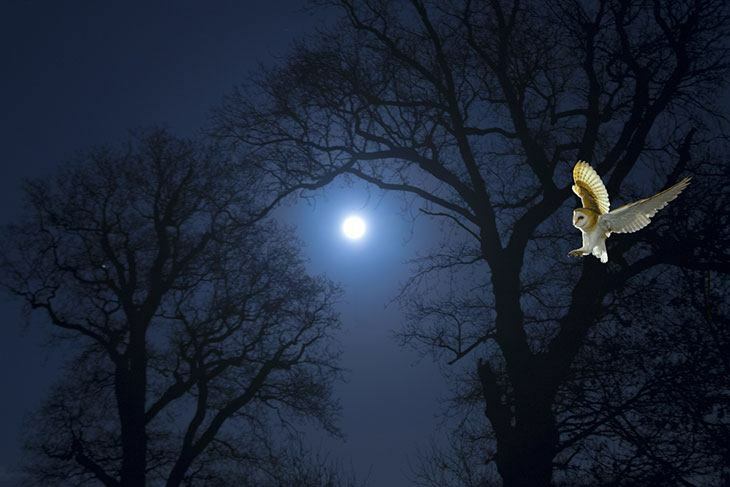 Stumbling sleepily in the woods will negatively affect your odds of sighting a nocturnal bird. So, have a good sleep during the day. This ensures that you have enough energy to take you throughout the adventure. It’s also important to wear in readiness for the local weather. Of most importance, these clothes need to be loose and breathable. Getting some waterproof yet 100% breathable pants is a big plus if you live in areas with unpredictable weather patterns. The clothes should also have camouflaging colors to avoid being easily busted by the birds. Consider going for dull colors such as brown. 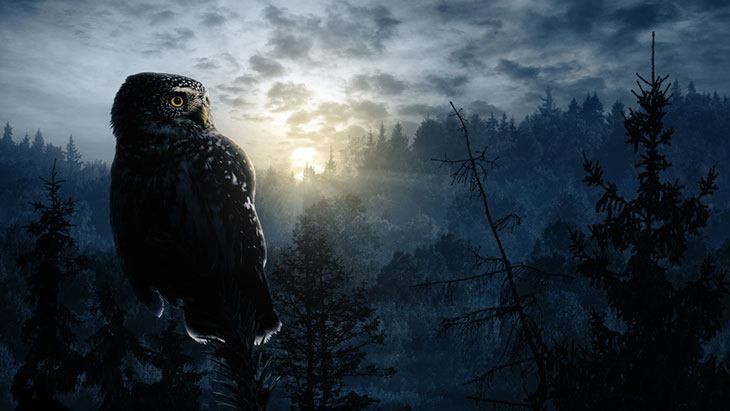 Do know that some nocturnal birds including hawks, frogmouths, and nightjars have up to 12 times better night vision than you. So, be quiet if you don’t want to scare them away. Watching birds at night requires lots of patience and skills. 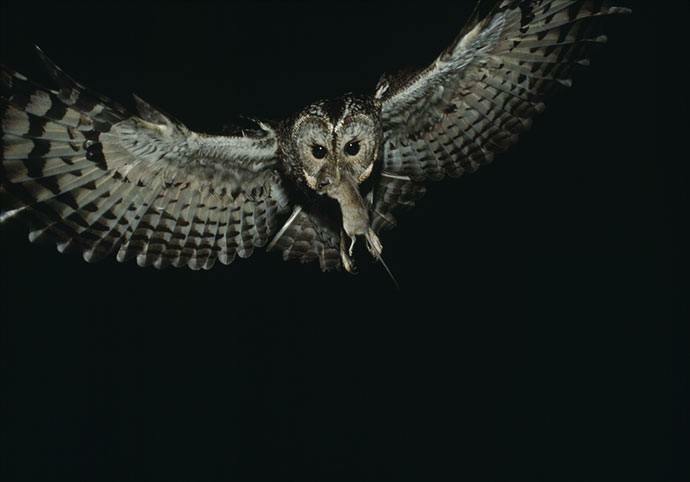 You should know that your target birds are adapted to hearing clearly at night. So, avoid laughing loudly or calling your friends in excitement. Your phones and any other gadgets should also be muted. On the same note, most nocturnal birds have superb camouflage. You might fail to spot them perched on trees unless you are very attentive. Before grabbing your binoculars, study any weird lumps on the branches with your eyes. A flashlight might be necessary for your safety in the woods. However, misusing it could drive the birds deeper into the woods in case they consider you a threat. So, avoid directing the light on trees as you try to locate the birds. Night bird-watching is deemed successful especially when done solo. However, the pursuit is even more successful when done as a group. This is much better especially when there are a few experienced birders. So, look for local conservatory birding groups within your area and ask to join them.